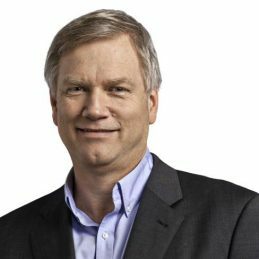 Andrew Bolt is Australia’s most most read social commentator, and, some complain, the most controversial. He writes twice-weekly for Australia’s biggest-selling daily newspaper, Melbourne’s Herald Sun, and also for Sydney’s Daily Telegraph, Adelaide’s Advertiser and the Darwin’s Northern Territory News. His political blog site is the most popular in the country, with 2 million page impressions each month, and he co-hosts a daily radio show on Melbourne’s MTR. Andrew’s speciality is in barbecuing sacred cows, separating myths from facts on everything from global warming to terrorism, from boat people to the “stolen generations”, from natural medicines to the assumption that people must grow stupid with age. But though his topics range from politics to film, and foreign affairs to education, his true concern is values. What are the new values sweeping in, and are they an improvement on the old? Which challenge the way we think, vote and do business? Which threaten us, and which will make us strong? Andrew’s plain speaking and his defence of reason against our New Age irrationality has made him a popular speaker and debater. He is a regular panellist on ABC TV’s national program Insiders, and appears as a weekly commentator on Channel Nine’s Today show and Sydney’s 2GB. He’s also appeared on a wide range of programs, including the ABC’s Lateline, Q&A and Late Night Live with Phillip Adams. Please get in contact to book Andrew for guest speaking, keynote presentations, motivational & inspirational talks. Andrew is available in Melbourne, Sydney, Brisbane, Perth, Adelaide and throughout Australia, and is one of our top, Media and Political Speakers.